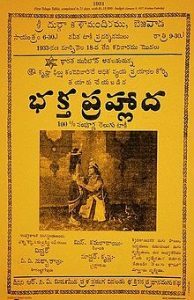 భక్త ప్రహ్లాద (Bhakta Prahlada) is the first Telugu full length talkie film released in 1932, based on The Story of Lord Narasimha and his devotee Prahlada made by H. M. Reddy, a pioneer of the Indian film industry. 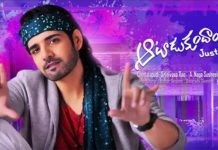 • Producer – H. M. Reddy under Krishna Movies banner. 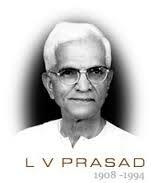 • Assistant Director – L.V.Prasad. • Background music – H. R. PadmaNabha Sastri. • Dialogues – Dharmavaram Ramakrishnamacharyulu. • Studios – Imperial studio in Bombay. 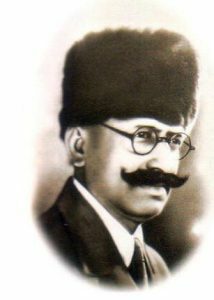 H. M. Reddy was assistant director for the film Alam Ara which was being made by Ardeshir Irani who planned to make the first Indian talkie movie. he brought the entire drama team of A play Prahalada written by Dharmavaram Ramakrishnamacharyulu, under supervision of C.S.R. 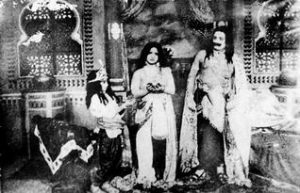 Anjaneyulu, to Bombay and H. M. Reddy made the first south Indian talkie in Telugu on the sets of Alam Ara. The very famous theatre group in Andhra Pradesh, ‘Surabhi’ had various performances of the play ‘Bhakta Prahlada’, which was written by the great playwright and ‘Andhranataka Pitamaha’ Dharmavarapu Ramakrishnacharyulu. 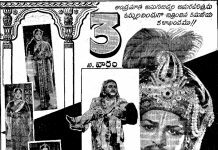 In the film, in addition to dialogues and poems, H.M. Reddy made Chandala Kesavadasu to pen songs too. 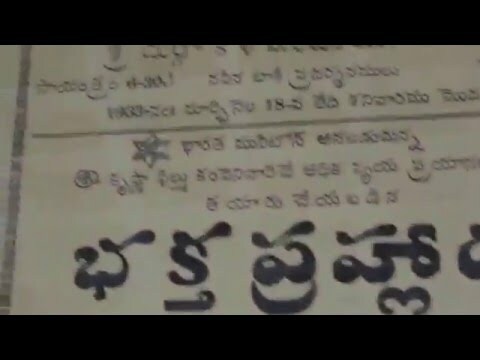 The great poet Kesavadasu, thus remains in the history of Telugu Cinema to have penned its first song. 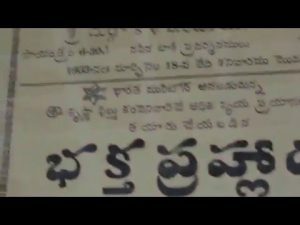 The release of the film which is the first Telugu talkie was generally considered to have released on 15 September 1931, but it was eventually revealed to have been released on 6 February 1932. 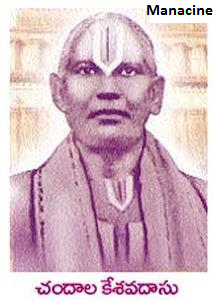 The censor date of Bhaktha Prahlada was given in it as January 22, 1932. The Bombay Chronicle carried an advertisement on January 31, 1932 that the film would be released soon. 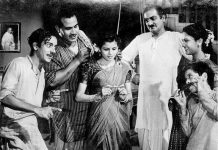 And it was released on February 6, 1932 at Krishna Cinema on New Charlie Road, Bombay. The Times of India carried a review of the film on the same day of its release as preview show was held before its release. 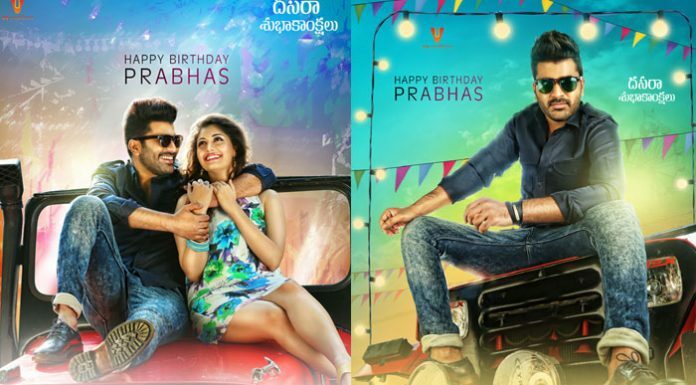 Subsequently, it was released in Andhra. 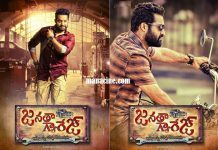 The film was moved to Sri Maruti theatre in Vijayawada and Sri Krishna theatre in Rajahmundry after having two-week successful run in Bombay and then on April 2, 1932 at the National Picture Palace (later renamed as Broadway Talkies), Madras. 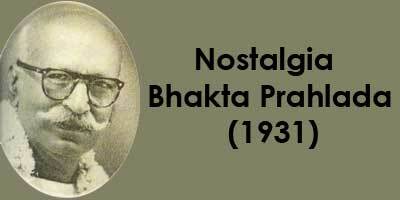 All this clearly proves that Bhaktha Prahlada was released only in 1932.